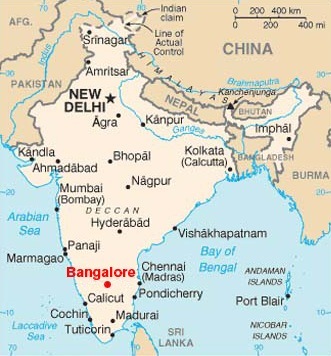 Today I bought a plane ticket to Bangalore, India. This is the culmination of several months of negotiating and planning and phone calls and form-filling… finally leading to the offer of a new job teaching at a college in Bangalore. Last week I was finally granted my employment visa, and this morning I bought the plane ticket. Of course, this is only the end of the beginning – I actually start work on 20th December. Reality is now starting to kick in. After this prospect being way in the future for what seems like ages, it’s now only 6 weeks away. I’m currently having a huge clear-out in my flat, selling stuff on eBay, and I’ll be having a stall in a Flea Market on Saturday. Feels good to be getting rid of lots of stuff — and raising a bit of cash towards relocation expenses — but it also feels somehow… terminal. I need time for this to sink in.